Above: Google will introduce a distinct appearance for emojis which don’t specify any gender in 2019. Image: Google designs / Emojipedia composite. 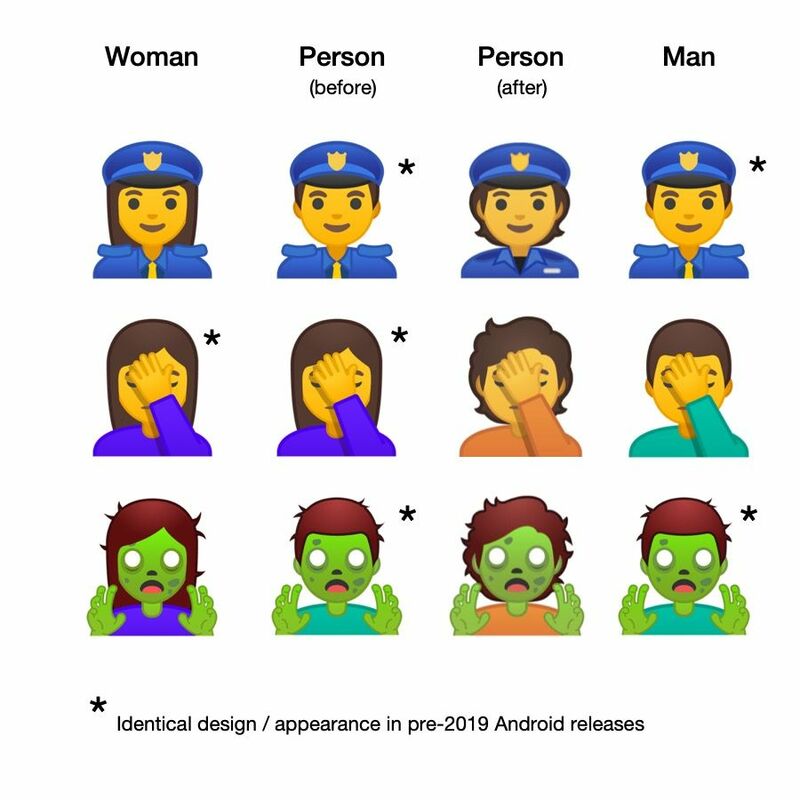 In giving public notice via Unicode, Google hopes that other vendors will join them in this effort to standardize many of the emoji which don’t specify a gender.